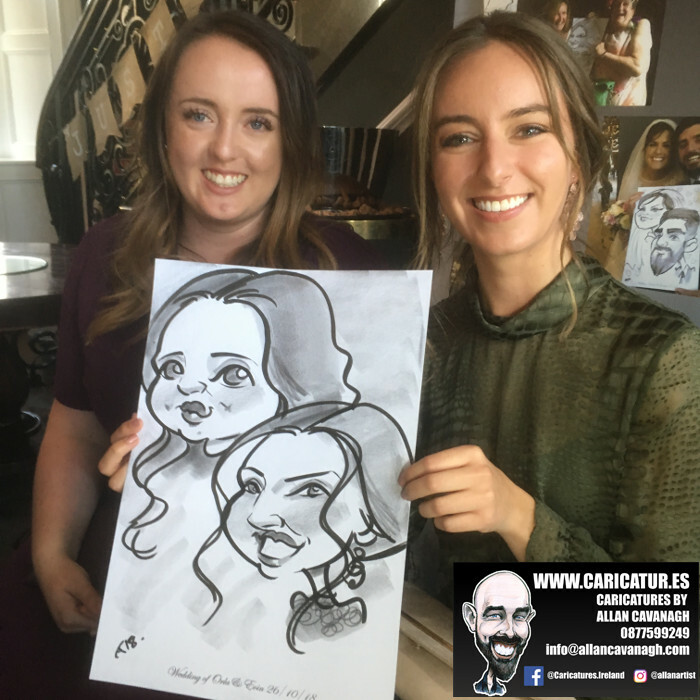 Meath Wedding Ideas Clonabreany House – Live Caricatures! 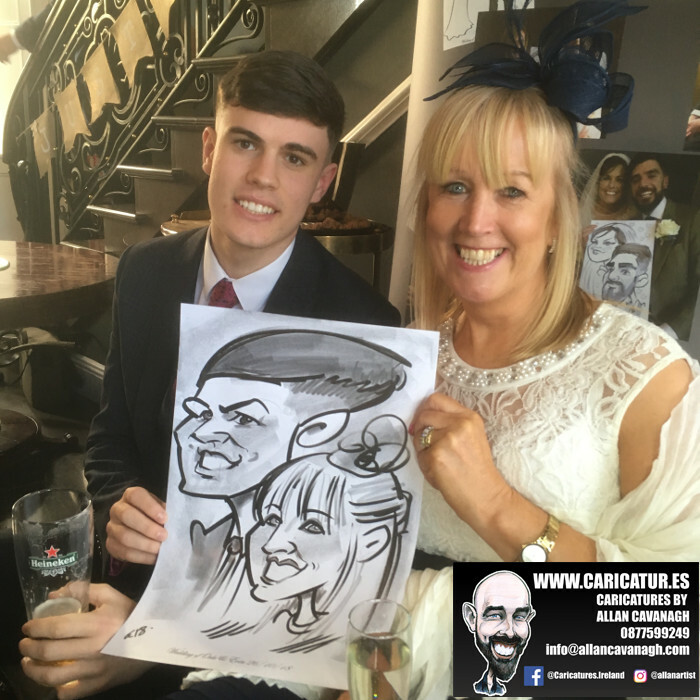 Find out how to easily order a caricature. Click here. 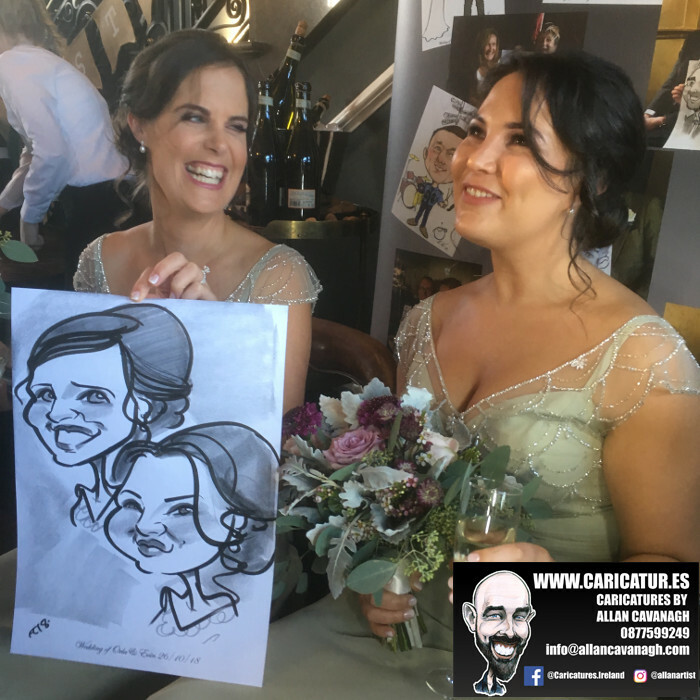 For weddings or other events click here. Phone or text me on 0877599249. Thanks for visiting! 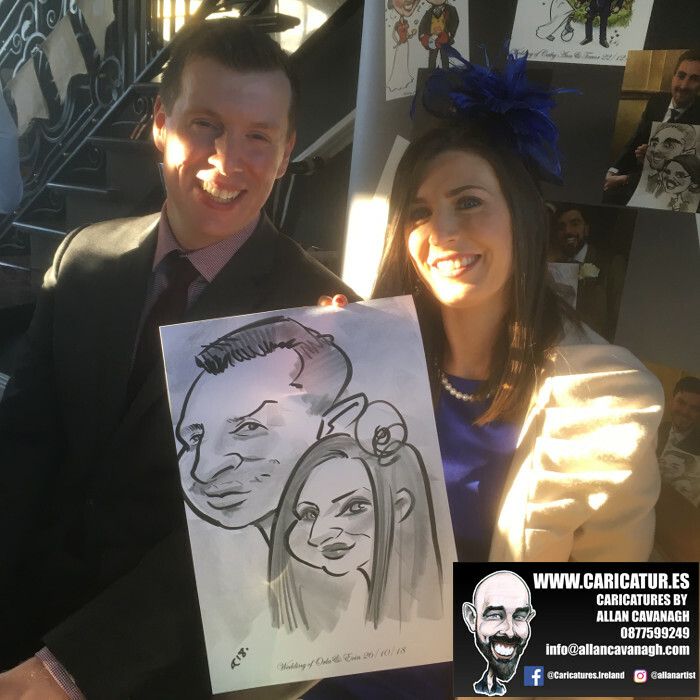 Meath Wedding Ideas: here are live caricatures I drew in Clonabreany House Co Meath last year. 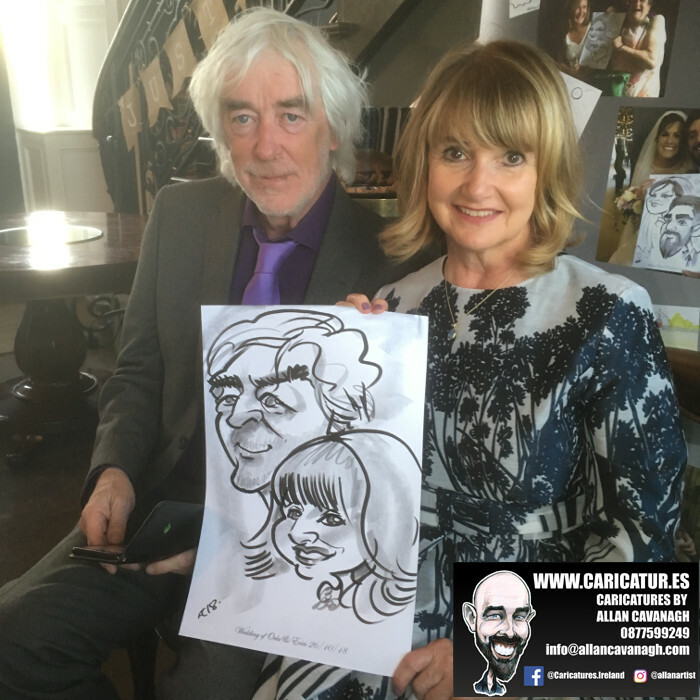 Such a lovely bunch of people and I got many great laughs from them as I presented them with their caricatures. 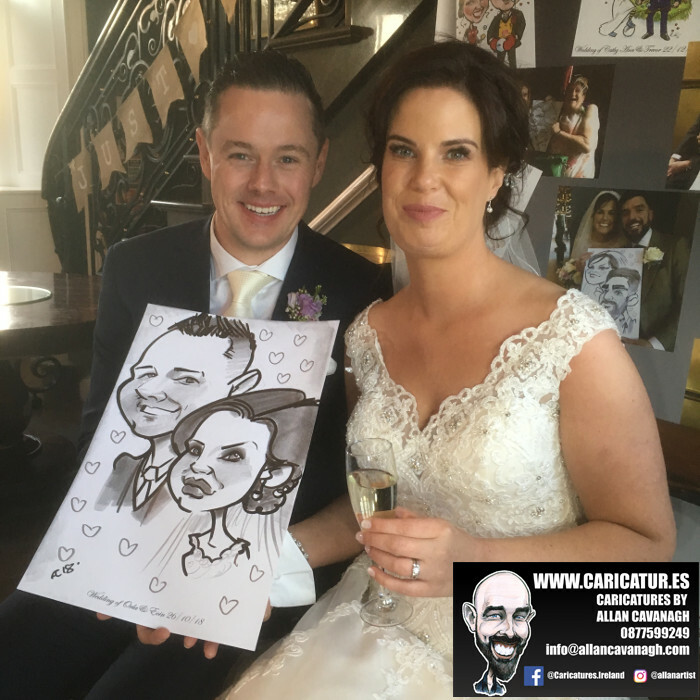 The staff in Clonabreany House are absolutely wonderful as well, they were very helpful from the moment I arrived which I think is always the mark of a good venue! 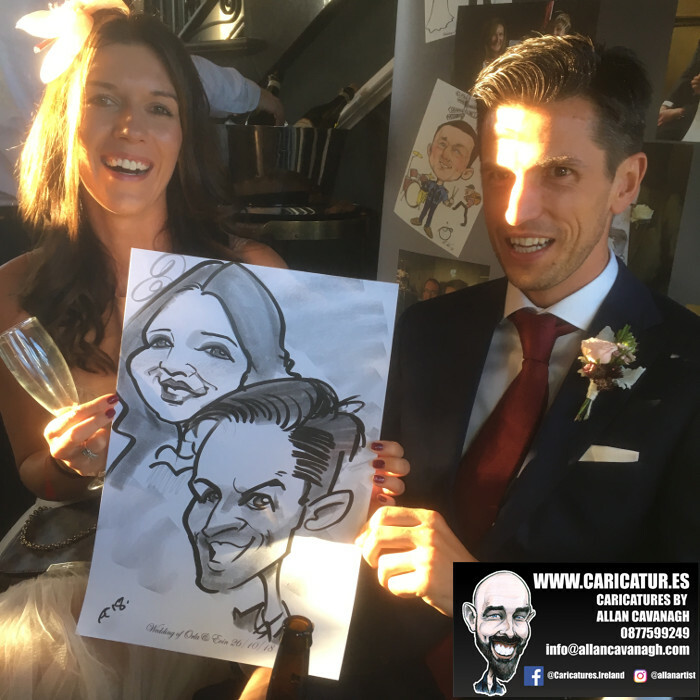 If you’re looking for Meath wedding ideas or specifically a Meath caricature artist please get in touch today. 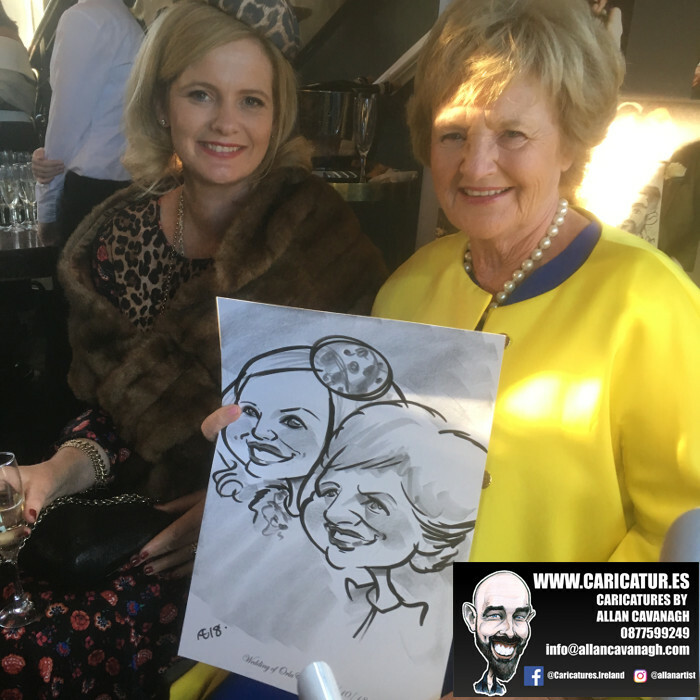 I’m based in Galway but I travel all over the country! 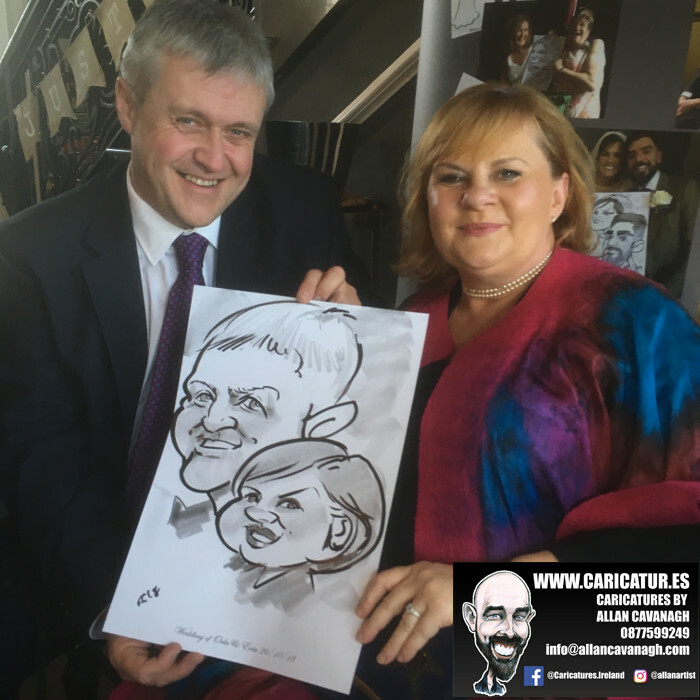 Allan Cavanagh is a Galway-based caricature artist and cartoonist who specialises in wedding and corporate entertainment. 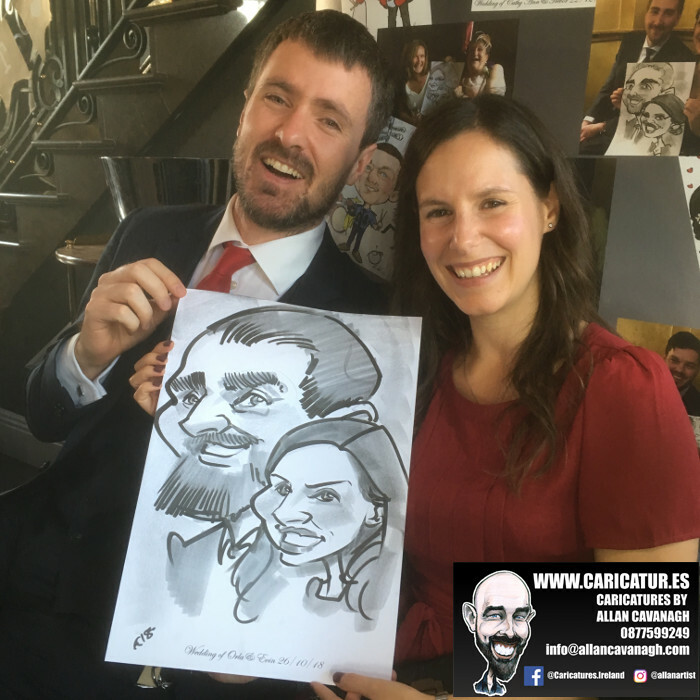 He has represented Ireland in cartoon festivals in France and Algeria and has had work published in newspapers, magazines and educational books all over the world. 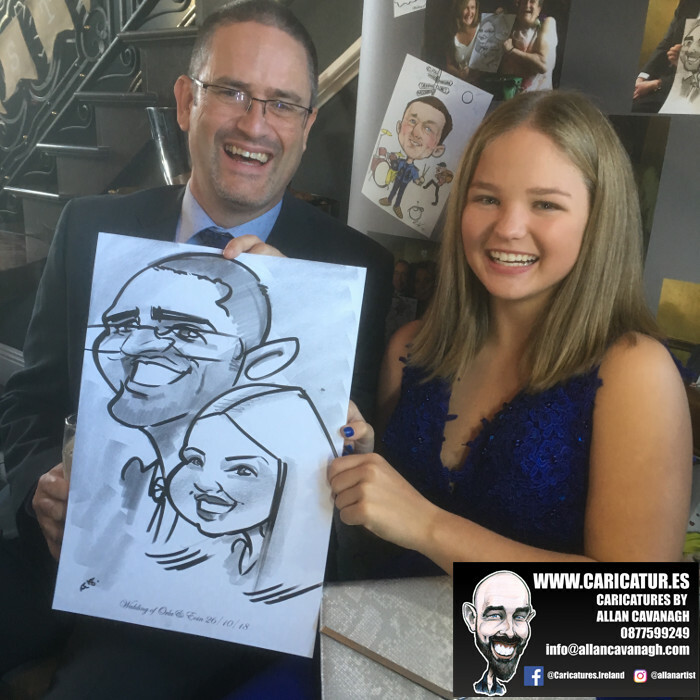 See more of his work at www.caricatures-ireland.com!